I’m going to be sharing with you my own personal story about my health, most recently with a potential heart condition. I have used some simple techniques to improve health and feel completely different now to how I did in mid June 2018. How often do you get a pain somewhere in your body? You then go on to think about it constantly, tell the people around you. Maybe even google it to find out what it could be. Then continue thinking about it more, beginning worrying about it and tell more people. This is exactly what I used to do. I spent so much time at the doctors thinking something new was wrong with me. Because I focused on the pain and what I felt so much that it was always there. I felt ill everyday in one way or another. ** This is my own personal story and experience, I am not a medical expert. I don’t advise for you to use these methods instead of seeking medical advice. On top of this Doctors have tested for more things such as diabetes and anaemia. The heart condition has been a recent event. Back in early June 2018 I collapsed. I ended up in hospital having heart scans as I had been getting palpitations previously. For most of June I felt really ill, spending 4 days in hospital having several tests done, spending days at home off work. I had accepted I had a heart problem and that it was going to effect my life, work and sport. Is it any wonder that feeling this way I then went on to collapse 4 times in 48 hours? Tuesday evening – collapsed, taken to hospital in an ambulance. Tuesday evening – collapsed in hospital. Wednesday afternoon – collapsed at home when taken the day off sick. Thursday afternoon – collapsed at hospital when having more tests done. 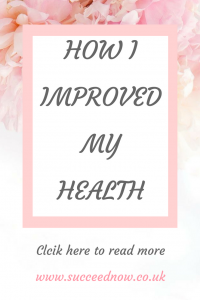 On Thursday evening I decided that I was going to use my positive mindset that I’ve used for everything else (confidence, anxiety, fears and much more) on my health too. Why shouldn’t I? My health is the most important thing so why would I allow myself to feel negative about this? Since that day (21st June 2018) I decided I would only think positive about my health. I haven’t collapsed once, I haven’t felt ill and I’ve felt happy and healthy. I love a guided meditation, you can find them on YouTube for any topic. That simple change has made a huge difference. It just goes to show the more you dwell on it and talk about it the more you feel it. As for the other diagnoses. I haven’t had a pain in my knees for over a year. Back when I was diagnosed and regularly thinking and talking about the pain it would be a struggle to walk and I couldn’t play bowls without knee supports. I also haven’t had sciatica in over a year, the Doctors said this would regularly come and go. I only have stomach problems when thinking about my stomach conditions. Since starting the new health affirmations, meditation and positive talking it has also reduced my stomach pain and related problems. I hope these techniques help you if you’re experiencing problems with your health. The one outcome I’d love from this blog post is for you to realise that you are in control of your health and that positivity can go a long way.How often do you get a pain somewhere in your body? You then go on to think about it constantly, tell the people around you. Maybe even google it to find out what it could be. Then continue thinking about it more, beginning worrying about it and tell more people. This is a really great post! I am also just learning of a heart condition I’m going through tests to prove. I think my favorite is the positive affirmations. You are so strong! To have all those health problems and still manage to share your light with others is so inspiring. Thank you for sharing! I am also a believer of “Law of Attraction” and doing a visualization for all my work. although never tried it to get better health. Better health is more important than better career so I think I have to focus more on the topics you pointed out in this article. So many great tips! Love the positive talking part!